Bar exam pass rates are falling. People are worried. They’re afraid. Futures are on the line. Lives are on hold. The issue is serious. Everyone from law school deans to multiple bar exam repeaters are desperate to answer the question: How can someone be on the right side of those frightening statistics and pass the bar exam? For many years, that question has been turned over, by default, to “big box” bar review courses that treat students preparing for the exam to an impersonal refresher course. Students are subjected to a long series of lectures often delivered via recording on television or online, they are expected to read lengthy outlines and can expect very little feedback on a few submitted essays. A few bells and whistles, largely computer programs, have been added along the way, but for the most part, students are on their own with a tsunami of information and very little actual test preparation. It’s no way to learn how to pass a test. It’s certainly no way to learn how to pass the bar exam, most likely the hardest test any of these students will ever encounter. So if this isn’t working, what will work? The law schools and the “big box” bar review courses have this right: You have to know the law to pass the bar exam. It’s that simple. In preparation for the California bar exam, students have to be ready for questions in 14 different subjects. It’s a lot of material. Thankfully, you don’t have to know everything in those subjects–just the material that the bar will test on. You don’t need to sit through endless lectures, days on end. You just need lectures that cover the pertinent topics that the bar covers. It frees up your time to learn law on your own, too, in a more hands-on manner with flashcards and reading concise outlines. Passive learning is easier. Sit back and let the instructor do all the work. Active learning is harder, but it’s harder because your brain is engaged, you’re working and consequently more is happening. More connections are being made. The educational research proves it, too. It’s science! You learn more when you practice. Any solid bar review course must include a lot of practice essays, a lot of MBE practice questions and practice performance test questions. You have to write, write and write some more. Your confidence will grow, your ability to spot issues will develop and your recognition of patterns in bar questions will allow you to transfer your practice to your performance on the bar exam itself. 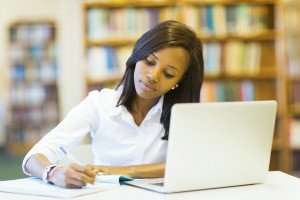 Working in isolation, whether in an impersonal course with a large group of other students or at home alone in front of a computer, you’re never sure if the work you’re doing is productive and on track for success. Your job is not just to listen or “study” or read or outline–your job is to pass the bar exam. And passing will only happen if you’re practicing and the work you’re doing is high enough quality that it will get a passing score. How will you know that in isolation? You need constant, meaningful feedback on your work. You need to hear what you’re doing wrong and what you’re getting right. You need to get realistic scores on your essays and see how you’re progressing during the bar review course. The learning process won’t occur with a few comments on an essay or two. You need consistent personal attention in order to gain an edge over what has become fierce competition. Many students read the news on falling bar pass rates and want to know the secret: How can I pass the bar exam? There must be something, some secret sauce, some formula or special method or “bar bible” or slick software that will make all the difference. A set of flowcharts, only these particular flashcards, a series of psychological techniques to mentally prepare you for test-taking. People and programs are lined up to sell you on any number of these secrets that will surely make the difference between success and failure on the bar exam. Here’s the real secret: There is no secret. The only thing that will get you from failure to success on this incredibly challenging test is hard work. It’s the tough news that no one wants to deliver, but it’s true. Students who pass put in the time, make the effort, pay attention to the feedback, avoid the distractions, put their heads down and work their behinds off. They know the competition is right at their backs and they run the race at a sprint because the prize is well worth it. If you would like to learn more about a program that incorporates the principles above and will push you to work hard with encouragement and a focused, hands-on learning approach, I invite you to give me a call at 213-985-1977 or fill out an interest form and I’ll be in touch with you to answer your questions. Personal Bar Prep has been dedicated to student success since 1995.